Re-charge your batteries for free whilst unwinding on our organic farm. 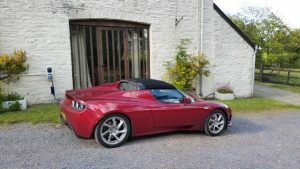 Those of you wishing to use your electric cars whilst on holiday can now spend some quality time in the Brecon Beacons. 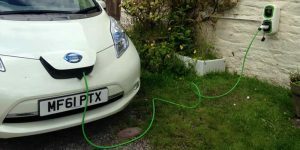 We have installed two sets of charging points kindly donated by Zero Carbon World which are free to use for visitors to the farm. 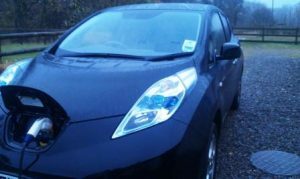 The electricity for the points is produced here by our own micro-hydro unit on a stream running through the farm so your car can become even more carbon friendly by running on Welsh rain water! SPECIAL OFFER – Stay for a short break and get an extra night free when you arrive in your electirc car. (Offer does not apply during school holidays). Please quote ‘evoffer’ when booking.